Annika Taylor of Truckee competes in the World Cup cross-country skiing finals in Quebec in March 2017. Annika Taylor is currently living in Lillehammer, Norway, training hard for the opportunity to represent Great Britain as a cross-country skier in the 2018 Olympics in PyeongChang, South Korea. But Annika is not from London or the United Kingdom — she’s was actually born and raised here in Truckee, and she raced for Alder Creek Middle School, Truckee High School and the Far West Ski Team before attending University of New Hampshire, where she blossomed into a successful cross-country ski racer. Annika’s mother is Betsy Taylor, and her British-born father, Dr. Peter Taylor, might just have delivered more babies then anyone around the North Tahoe-Truckee region, including this author’s own two daughters. Peter is also a very strong athlete and Nordic skier. 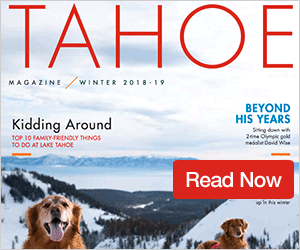 “We have always been a super-active family, constantly hiking, biking and roaming around Truckee and Tahoe,” Annika said in an interview this summer with Tahoe Magazine while taking a break from training in Norway. 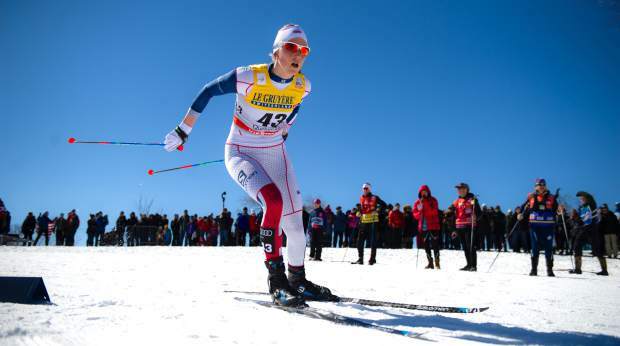 The 24-year-old has been cross-country skiing since the age of 2 and racing since age 5. She said she fondly remembers attending the little Donner Trail Elementary School on Donner Summit. Perhaps by “passionate,” she means high energy; in addition to her unwavering devotion to cross-country skiing, she played soccer for 10 years, danced, practiced karate, and played piano and French horn. She raced cross-country for Alder Creek Middle School under Mitch Dion, Bill Sterling and the late Mark Nadell. 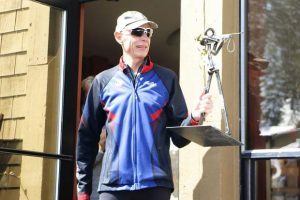 She raced Far West Nordic in six Junior Olympics, primarily coached by Jeff Schloss and Ben Grasseschi, and raced for Truckee High School with coach John Halvorson. In 2011, she graduated from Truckee High and moved on to the University of New Hampshire, racing to podium finishes in a number of races during her senior year, as well as All-American status at the 2015 NCAA Ski Championships in Lake Placid, New York. In 2016, she raced her first World Cup race for Great Britain and now has over 20 World Cup starts under her belt. So why is this life-long Truckee woman racing for Great Britain? “During my senior year of college, I decided that I would need to have a standout skiing year for me to even consider skiing after college, and then it happened,” Annika said. “My sights were then set on being competitive internationally, and I decided it’s easier being on a ski team based in Europe because the travel time is shorter and there are a plethora of opportunities to race against the world’s best. Four of British Nordic’s elite skiers live in Norway, and have lived here for an average of six years, so I found out that the best training opportunities were really in Europe, most specifically, in Norway. Now she is fluent in Norwegian and works with a Norwegian coach. 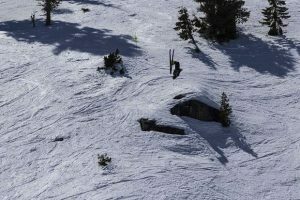 “I can’t wait to share what I have learned with the Truckee-Tahoe ski communities and be able to infuse new spark and create international training groups for our skiing programs when I come back,” Annika said. Before she returns, however, she has a job to do: train hard enough to race well enough to qualify to race and hopefully do well in the 2018 Olympics. That’s turned into an expensive endeavor, especially since cross-country skiing doesn’t create the excitement and the sponsorship opportunities of the marquee winter sports like downhill skiing and snowboarding, where Tahoe standouts such as Julia Mancuso and Danny Davis can be seen in commercials. Still, Annika said she has been able to rely on her hometown community to help her along the way.